We’re delighted to showcase the Cougar Half-Ton travel trailer. This RV offers you a luxurious experience wherever the road might take you and promises many years of great memories. 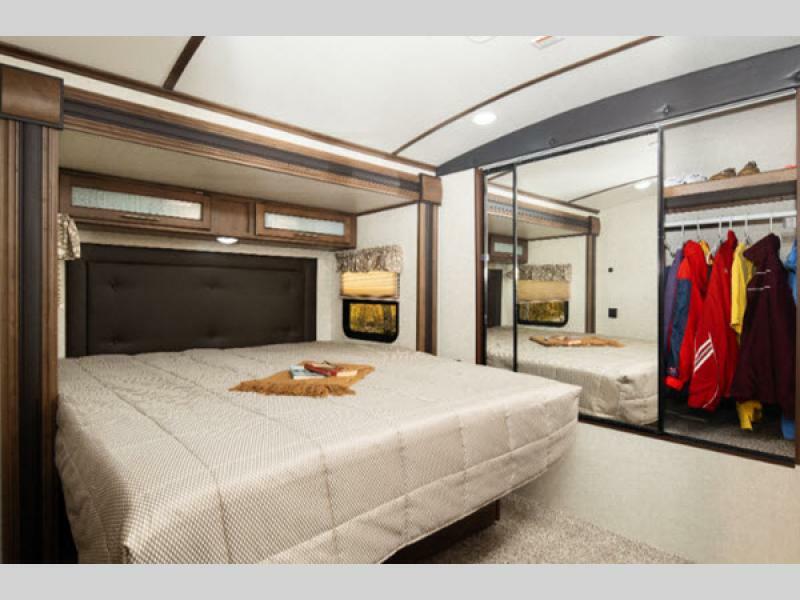 From a spacious bedroom to thee well equipped kitchen to the quality that Cougar is known for, this RV truly promises you an enjoyable trip wherever you are. Read our Cougar Half-Ton travel trailer review to learn more. After a long day out and about with thee family, there is nothing more relaxing that coming home to a private space where you can put your feet up and unwind. The bedroom in the Cougar Half-Ton was made to offer you a private, welcoming space where you can recharge. And from the comfortable bed to the spacious storage to the lovely decor, we think this space does a pretty good job. 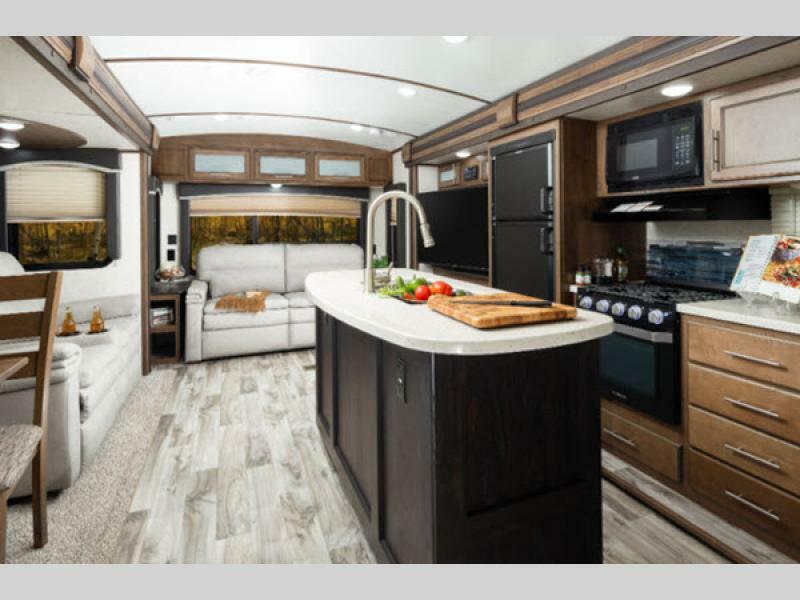 Is a big kitchen a must have on your RV list? If so then you will absolutely adore everything that this kitchen comes with. From the attractive decor to thee durable flooring to ample storage, this space was designed for those who enjoy cooking wonderful meals for their families. 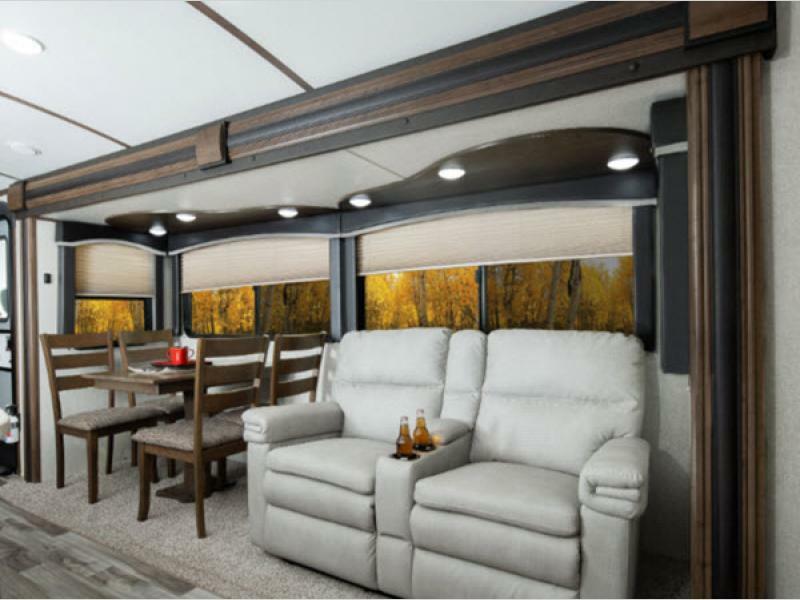 The spacious living room in the Cougar half-ton offers you a space to unwind, relax, and enjoy your destination. The slide has large windows that allow you to take in your destination and expands your living space. Plush furniture provides a welcoming place to unwind and watch movies or play games with the family. This is truly a fabulous place to relax, make memories, and relive your day. If you’re interested in learning more about our selection of Cougar Half-Ton travel trailers for sale, contact us. We can answer any questions you have, assist with RV financing, and ensure you find the RV that will work best for you. Our team is dedicated to serving our customers and making sure you feel good about the decisions you make.